Washington D.C., Jun 20, 2017 / 03:09 am (CNA/EWTN News).- President Donald Trump’s changes to U.S. policy on Cuba will end up weakening human rights in the island country, the United States bishops have said. “The United States Conference of Catholic Bishops, in solidarity with the bishops of Cuba and the Holy See, has long held that human rights and religious freedom will be strengthened through more engagement between the Cuban and American people, not less,” said Bishop Oscar Cantu of Las Cruces, chair of the U.S. bishops’ Committee on International Justice and Peace. “For decades, we have called for the U.S. travel ban and embargo against Cuba to be lifted,” he continued in a June 19 statement. 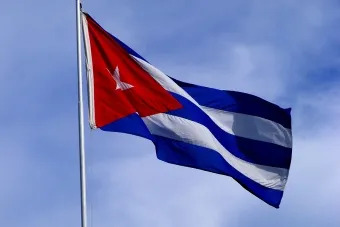 The U.S. Conference of Catholic Bishops objected that the move would affect U.S. citizens’ travel to Cuba and would hinder U.S. commerce with entities controlled by the Cuban government. Last week, President Donald Trump delivered a speech on Cuba policy announcing the changes. “I am canceling the last administration’s completely one-sided deal with Cuba,” the president said, charging that President Barack Obama’s policy ignored human rights violations and the Cuban government’s role in fostering instability in other countries. CNN characterized the changes as only partial. U.S.-Cuba diplomatic relations will continue, and the governments’ respective embassies in Washington and Cuba will remain open. There will be no restrictions on Americans bringing Cuba-produced products like rum and cigars out of the country. At the same time, there will be strict enforcement of authorized exemptions that allow travel between the U.S. and Cuba. The Trump administration will bar commerce with businesses owned by Cuba’s military and intelligence services. President Trump’s move asks the U.S. Secretary of State to launch a task force concerning the expansion of internet access in Cuba and to repeat the U.S. opposition to U.N. efforts to lift the embargo on Cuba until more is done to address human rights concerns. He said the president is correct that serious human rights concerns remain. Bishop Cantu is about to depart for a pastoral visit to Cuba at the invitation of the Cuban bishops. Philadelphia, Pa., May 23, 2018 / 06:04 pm (CNA/EWTN News).- Several bishops from outside Germany have critiqued a proposal to allow Protestant spouses of Catholics to receive communion in German dioceses under some limited circumstances, citing the proposal’s effects on their own local Churches. The proposal has been championed by Cardinal Reinhard Marx of Munich and Freising, who announced in February that the German bishops’ conference would publish a pastoral handout that allows Protestant spouses of Catholics “in individual cases” and “under certain conditions” to receive Holy Communion, provided they “affirm the Catholic faith in the Eucharist”. But the proposal was questioned by seven German bishops, who asked the Congregation for the Doctrine of the Faith whether the question can be decided on the level of a national bishops’ conference, or if rather “a decision of the Universal Church” is required in the matter. When several bishops from Germany visited Rome May 3, an inconclusive meeting ended with the Vatican sending the Germans back, saying Pope Francis wants the bishops to come to an agreement among themselves. 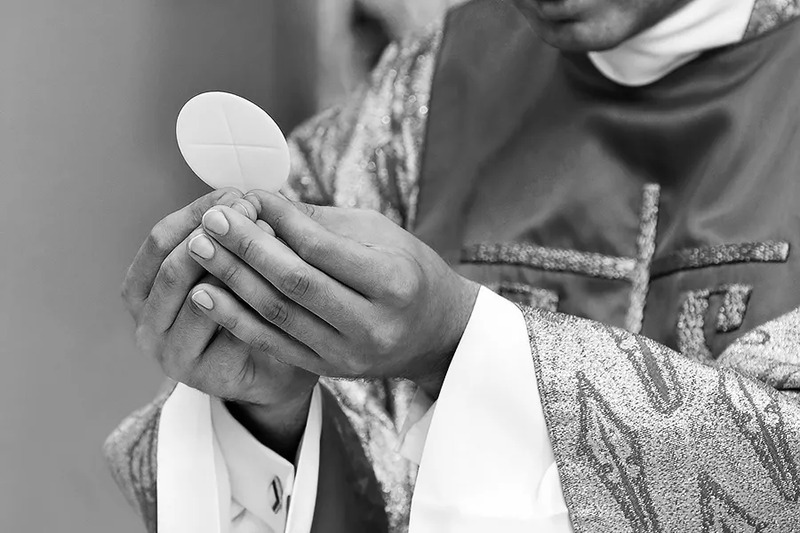 Archbishop Charles Chaput of Philadelphia was pointed in his criticism of the proposal in an essay published May 23 at First Things, raising doctrinal concerns regarding what it would mean to allow these non-Catholics to receive the Eucharist. Chaput explains that while bishops everywhere have disagreements, he believes the situation in Germany to be different due to both the “global prominence of the controversy,” as well as the doctrinal issues. He added that “What happens in Germany will not stay in Germany. History has already taught us that lesson once,” citing the effects of Martin Luther’s schism. “The essence of the German intercommunion proposal is that there would be a sharing in holy communion even when there is not true Church unity,” writes Chaput, noting that there are serious difference between Protestant theology and Catholic theology, including debate over the divinity of Christ among some more liberal Protestants. The proposal also “severs the vital link between communion and sacramental confession,” he stated. Chaput writes that the intercommunion practice would do nothing more than insert a lie into what should be a profound encounter with Christ. Cardinal Willem Eijk of Utrecht was critical of the pope’s request that the German bishops come to a consensus. Writing in the National Catholic Register May 5, Eijk said Pope Francis’ response was “completely incomprehensible,” as the doctrine of the Eucharist has not changed and cannot change, even with unanimity among a bishops’ conference. “The practice of the Catholic Church, based on her faith, is not determined and does not change statistically when a majority of an episcopal conference votes in favor of it, not even if unanimously,” wrote Eijk. Eijk’s comments were echoed by Archbishop Terrence Prendergast of Ottawa, who said May 23 at the Catholic Register it was “puzzling” that Pope Francis instructed Germany’s bishops to come to a unanimous decision on the issue. “This kind of open communion is against Catholic teaching and from what I can see in non-Catholic congregations that follow a discipline of ‘open communion,’ it is also spiritually and pastorally unfruitful,” said Prendergast. He noted that people in his local Church have already been asking about the German proposal. “We need to invest more in receiving the sacraments worthily and fruitfully. 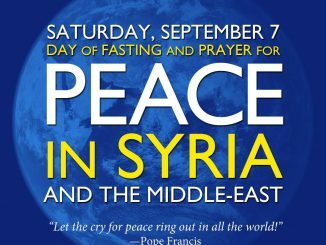 This is true for the Eucharist, but also for Baptism and Confirmation,” Prendergast added. Orange, Calif., Aug 16, 2017 / 02:44 pm (CNA/EWTN News).- Moral theologian and cultural analyst Dr. Pia de Solenni has been appointed chancellor for the Diocese of Orange in California, effective Aug. 28.